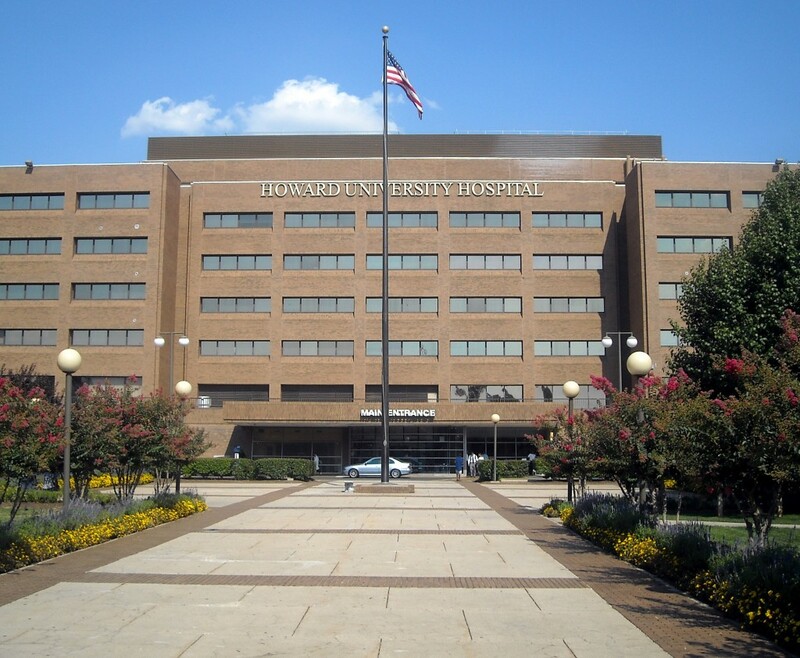 This post was originally published October 3, 2014 at 12:25 p.m.
UPDATE: Health officials have “ruled out” Ebola as a possible diagnosis for the patient being treated at Howard University, according to a statement issued on Saturday. “Ebola has very clear symptoms that inevitably worsen over time, inclusive of fever, bleeding from the eyes and a growing rash that consumes over 75 percent of the human body,” director of the D.C. Department of Health Dr. Joxel Garcia said in the statement. A patient with Ebola-like symptoms has been admitted to Howard University Hospital in Washington, D.C., a hospital spokesperson has confirmed to the PBS NewsHour. So far the hospital has only reported the patient’s symptoms, and has not reported any test results, so this is not yet a confirmed case of the virus. The hospital, which is less than two miles from the center of the capital, did not share additional details about the case. Lisa Monaco, Assistant to the President for Homeland Security and Counterterrorism and Senior Administration Officials are expected to hold a briefing on the U.S. Government response to the Ebola pandemic at 4:30 p.m. EDT. The PBS NewsHour will livestream the briefing in the player above. In a teleconference from Dallas earlier today, the Center for Disease Control and Prevention said that 50 people who may have come in contact with the Ebola patient in Dallas are currently being monitored for the disease. That number is a 50-person decrease from yesterday’s update. The Center for Disease Control and Prevention said that 50 people who may have come in contact with the Ebola patient in Dallas are currently being monitored for the disease. That number is a 50-person decrease from yesterday’s update. Of those 50 individuals, 10 are considered higher-risk. The CDC said no individuals have shown any symptoms of Ebola. Temperatures are being checked twice a day for those monitored, and the 10 higher-risk individuals are currently on paid furlough. During a teleconference earlier today, Dallas County judge Clay Jenkins said he wanted to see the individuals moved to a new location with a washer and dryer. “Even as we speak now, we don’t have the permits in place to dispose of the soiled items,” said Jenkins. Ebola symptoms include fever, headache and fatigue early on. As the symptoms worsen, patients suffer from bloody diarrhea, severe sore throat, jaundice, vomiting or loss of appetite.